No fish today ...well real fish. Tom and I hit some of the smaller tribs which were brown. We fished the mouths and the lake itself to jumping and rolling fish but could get nothing to go. 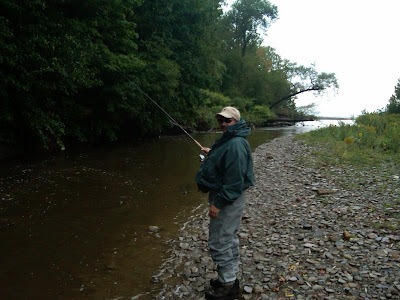 Tom did catch a few lesser known fish called the smallmouth bass.